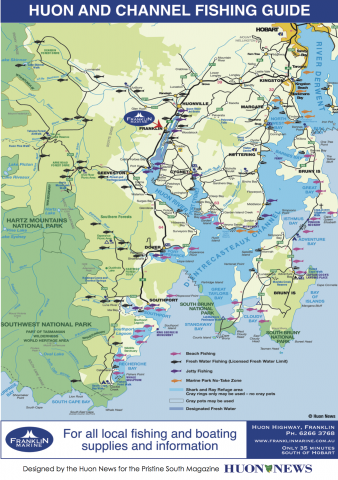 In response to the many travellers and locals who are chasing ‘the best fishing spot’, we sat down with the Huon News and produced this fishing map for the Huon and Channel areas. This map shows many fishing spots around the area, and includes spots for jetty fishing, beach fishing, freshwater fishing and saltwater fishing. You are welcome to save and/or print this map for later reference, and are encouraged to keep a copy in the car for those ‘surprise’ fishing trips. 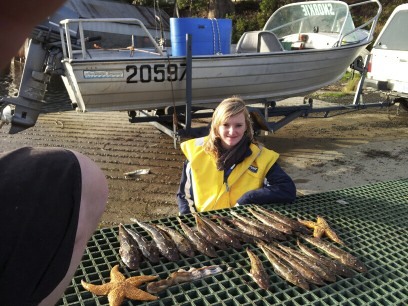 You may have come to Tasmania to bag the essential (but elusive) trout. Brown Trout (including sea runners), Rainbow Trout, Brook Trout and Atlantic Salmon are all found in the local rivers, streams and dams. You will see the areas marked on the map above as ‘Fresh Water Fishing’. 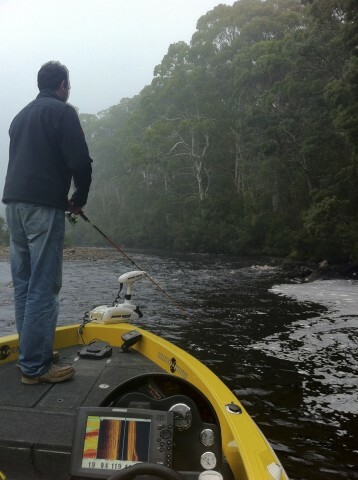 Soft plastic lure fishing is now the predominant style used to catch trout and salmon in Southern Tasmania. Hardbody lures and celtas can also work well – on their day. You will need a range of soft plastics and lures to cover the various light conditions that you will encounter in the South. Fly fishing is still popular, though not as common on the local rivers as it is on the lakes where the banks are more controlled. Franklin Marine stocks soft plastics and hardbody lures to suit southern waters. Estuary fishing in salt water is very popular amongst the locals. Whether you are chasing flathead, bream, couta, flounder or salmon, the gear is in store for you. Are you interested in offshore fishing? Many people fish offshore for fish like Albacore, Bluefin Tuna, Marlin and Stripey Trumpeter. If you would like to take the boat out of Dover or Southport, drop in on your way through Franklin and we will fix you up with all of the right gear for your trip. Catching crayfish requires a cray pot, floats, ropes, bait savers and bait – all available in store for your next trip. When it comes to cray pots – locally made traditional tea-tree recreational cray pots are the originals – and the best at catching crays. A range of locally made cray pots are always available at Franklin Marine. You can also drop in on your way down south to pick up a bag of cray bait. The table below demonstrates the recommended bait for freshwater, estuary and offshore fishing adventures. You will find blue bait, squid pieces, tube squid, bottle squid, muttonbird hearts, green prawns, sauri and cray bait in store. Come in store today to grab all the right gear and advice to catch your favourite fish!